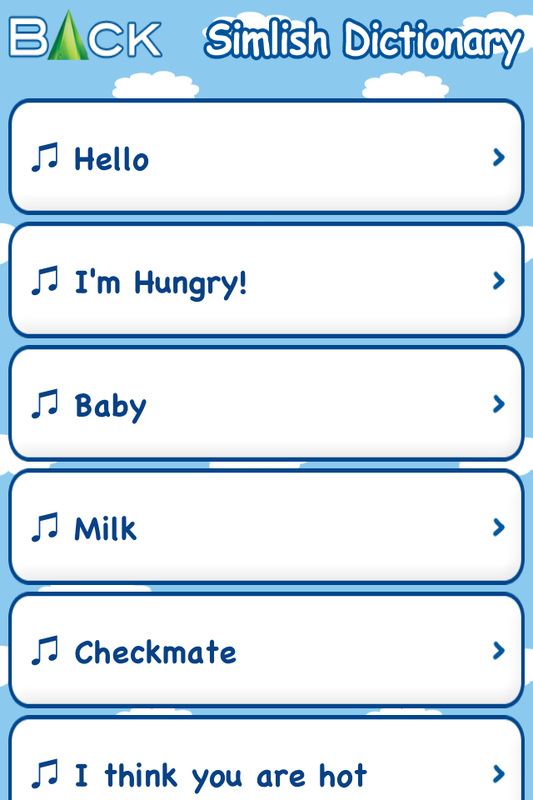 Simlish is a new iPhone app that will teach you how to talk the Sims language. Imitating songs may be the best way to learn to sound Simlish. Record your voice and practice improvising in Simlish, then play back the results to see how close you are to the voices in the game and the music. Repeat and practice to get better at sounding Simlish. ♥ Read news in the Sims Wiki. 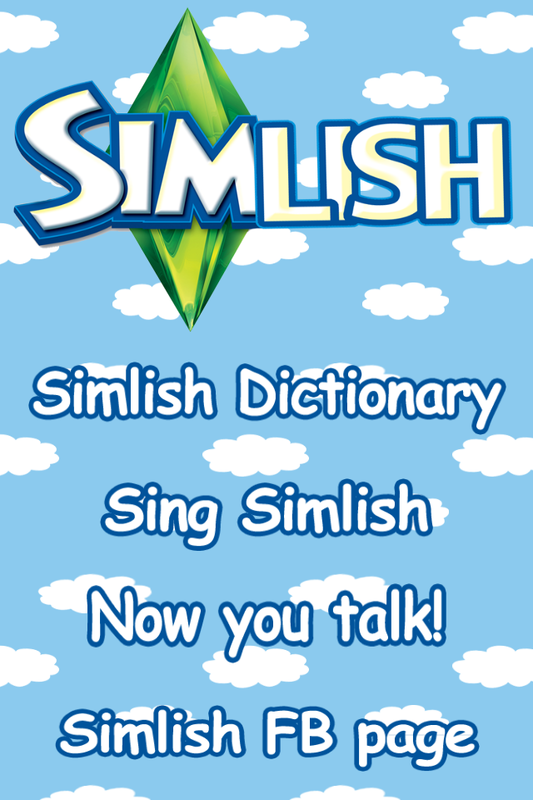 ♥ Keep posted with all the news on the Simlish Facebook page. For more Sims stuff like The Simlish FB Page. A huge thanks for my assistant and inspiration : Shay Komaroff! This entry was posted in apps for kids, games, iphone, Uncategorized, video and tagged free, iphone, Simlish, Sims, The Sims by x x. Bookmark the permalink.